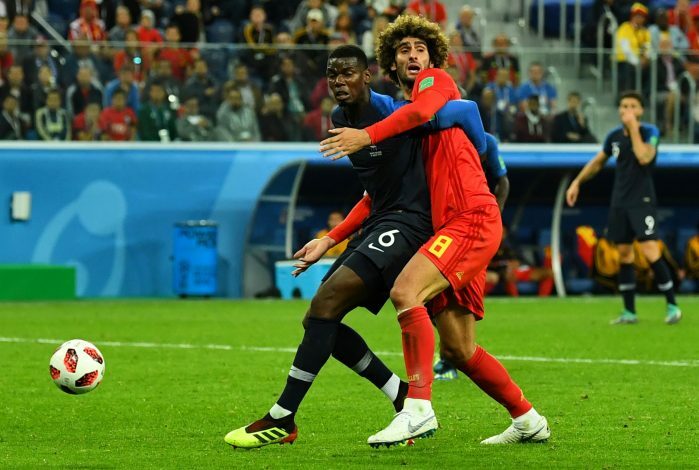 France beat Belgium 1-0 to qualify for the final of the ongoing FIFA World Cup 2018 in Russia. In a blockbuster game that had very little to separate the two sides, Samuel Umtiti made the difference with a 51st-minute header. The 1998 world champions now have the chance to do well in Moscow on Sunday, and they will either face the likes of Croatia or England. Both sides had chances, but France were the better side and dominated the game in an overall basis. A key part of their success was the midfield, and it was Paul Pogba who bossed the pitch. Manchester United legend Rio Ferdinand, who is working a pundit at BBC, claimed that Pogba was a livewire on the pitch. The former England international felt that the midfielder showed why Jose Mourinho went all the way and bought him for a whopping £89m. Ferdinand stated that despite Kylian Mbappe being superb, Pogba too, deserves the credit for showing why he went to Old Trafford for so much money. “Also, Paul Pogba today showed why he went for so much money. His discipline, which he’s been called out for beforehand, seemed to come into play,” Rio stated.